Burmese tofu is a soy-free, gluten-free food made from chickpea flour, water, salt and turmeric. I first learned about Burmese tofu back in January when looking for ways to use my up a huge bag of chickpea flour (chana) that I got from Superstore; they didn’t have any smaller bags at the time. 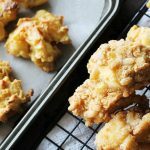 Anyway, I ran across this post from omni gluten-free blogger, Girl Cooks World and gave her recipe a go as it seemed so easy. And it was! Skip the ramble and go straight to the printable recipe. Want to make tofu WITH soy? Learn how to make tofu with just soy milk, lemon juice, and water! On my first go, I nixed the additives and just used chickpea flour and water. The result was a cross between scrambled eggs and silken tofu. I found that it was great cut into cubes, dipped in a little flour and fried up. I’ve used it as salad toppings, on rice, in place of scrambled eggs and as the egg part of a quiche. Also, I’ve found that it’s really filling for the amount of calories, plus it’s a great source of protein and iron. Burmese Tofu, cubed, lightly fried and seasoned with dill and fresh lime juice. Over the last few months, it’s become one of my go-to foods. 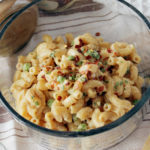 I’ve adapted the recipe to be more savory and more suited to how I like to use it, but it’s still super easy to make. Burmese Tofu, cut into blocks, dredged in flour, seaweed flakes, and nutritional yeast, then deep-fried. Have you tried Burmese Tofu before? What did you think? 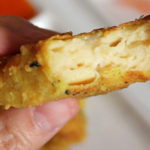 Edit June 27, 2014: By popular request, I have posted the recipe and a video tutorial on how to make Burmese Tofu Crispy dippers like the ones above. Click here for the post. Close up with vegan dill dip. 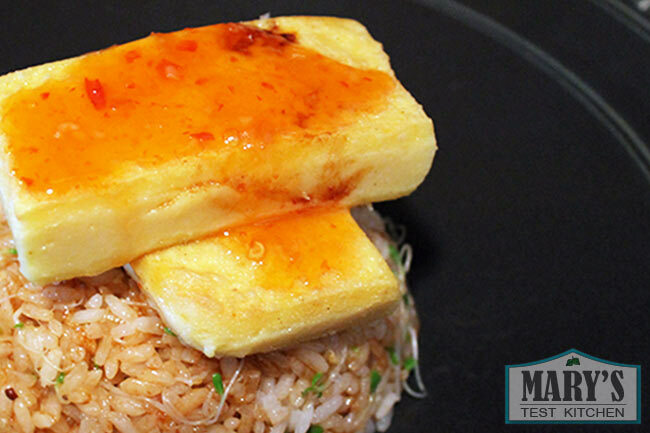 Burmese tofu with Thai sweet chili sauce on seasoned brown rice and sprouts. 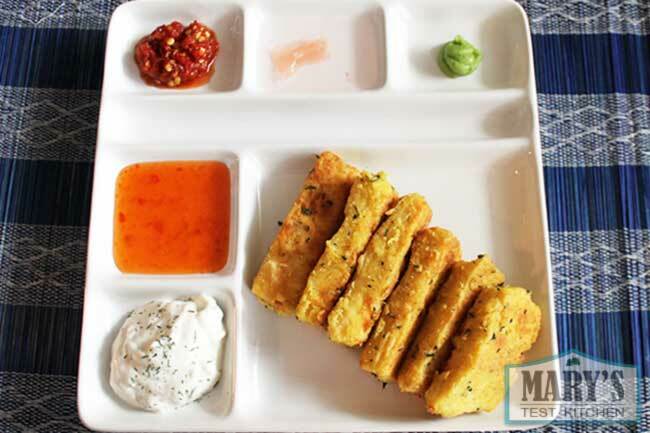 Burmese tofu is a soy-free, gluten-free food made from chickpea flour, water, salt and turmeric. This variation uses vegetable stock to infuse a deliciously savory flavour. Line a rectangle pan or casserole dish with parchment paper. In a large pot, boil 4 cups of water or vegetable stock. Add the boullion cubes if using. Meanwhile, combine the chickpea flour, turmeric (if using), and 2 cups of cold water. Whisk until smooth. When the 4 cups of water/stock comes to a ROLLING boil, carefully stir in the chickpea mixture. Turn off the heat and continue stirring vigorously for five minutes. The mixture will turn from matte to glossy and will become super thick. If you are using a gas stove OR it does not seem to get thick within a couple minutes, turn up the heat to medium-low. Pour the mixture quickly into your prepared pan and spread out evenly with a spoon. Let cool to room temperature before chilling in the fridge for an hour. 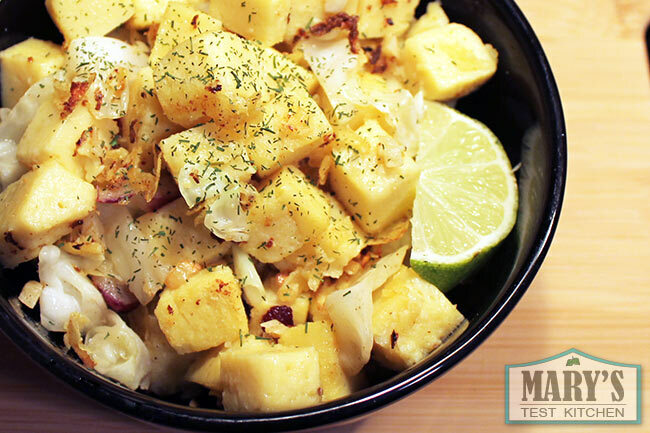 After chilling, cut up the tofu as desired for easy storage. Eat cold, heated up or however you like! 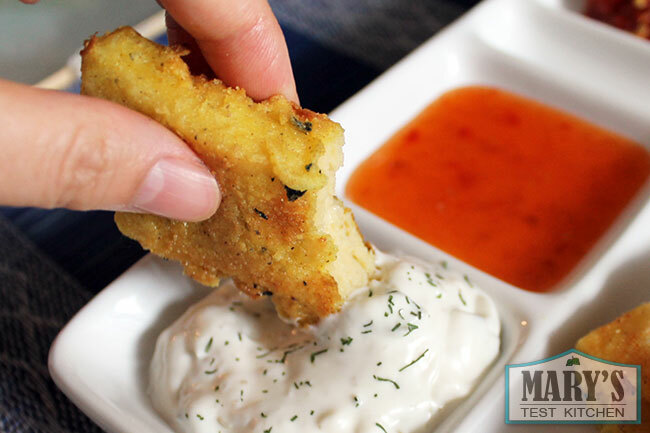 Try them coated and fried like in these Burmese Tofu Crispy Dippers! Enjoy! 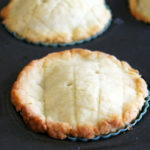 *Pack down the chickpea flour when measuring (basically the opposite of how to measure regular flour for most recipes). For firmer tofu, you can increase the amount of chickpea flour. However, I find it becomes more difficult to cook the mixture thoroughly enough when I add too much flour so I increase it 1 cup more at the most. Do not pour the chickpea mixture into the water/stock before it comes to a rolling boil. It MUST be hot enough in order for your tofu to set properly afterwards. If you have a gas stove, the residual heat may not be enough. In that case, turn the heat to very low instead of turning it off after adding the chickpea mixture. Make sure you stir it for five whole minutes so the chickpea flour cooks through. If you don't it gets a sprouty kind of taste. But if you plan to cook it after (like sauteing or deep frying) then don't worry about that too much. Store your tofu in the fridge. It will leech water as it sits and gets firmer over time. Simply drain out the water periodically. One of my Instagram friends told me it does fine in the freezer, just thaw it in the fridge before using. I've never tried as I always eat it up quickly! 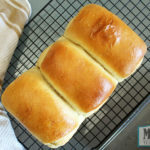 I bookmarked a Burmese ‘tofu’ recipe a long time ago, but haven’t tested it out! Love that it’s soy-free, miam! Looks super good! Yes, it is incredibly simple. It’s become a staple food for me. I almost always have some in the fridge ready to be made into other dishes. Another grest recipe. I have chickpea flour waiting. I recently made a baked verison with olive oil and black pepper. Thank so much, John! And I’ll have to try your baked version. I should be using burmese tofu more. it just is so simple and versatile! Yes! Thanks for the comment. I just <3 the stuff! 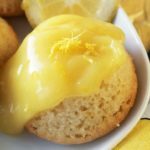 I tried this recipe and it came out really watery, I followed the directions but mine didn’t quite thicken like yours I stirred for 10 minutes before just pouring it into the pan and giving up as it wasn’t getting as thick as yours. I put in in the fridge for 2 night to leech the most amount of liquid but as I kept it in the fridge it didn’t get firmer it just leeched more water and started falling apart. i tried to put some in a pan and brown in but it just melted and fell apart. 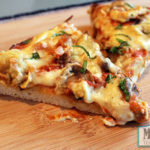 I’m going to reattempt this recipe this week, any idea what I can do different? I used the bob’s red mill garbanzo bean flour, I dunno if that had anything to do with it? 2) Did you pour the chickpea/garbanzo flour mixture into the boiling water at a ROLLING boil? It really has to be at the “rolling” stage when pouring it in. 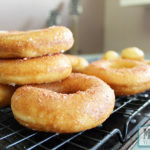 At step 5: If you are using a gas stove OR it does not seem to get thick within a couple minutes, turn up the heat to medium-low (instead of turning the heat right off). Lastly, make sure to drain off the excess water daily so that the tofu doesn’t sit in water too long. I stumbled on your page from reddit and I’m really impressed! It’s crazy to me that $1 worth of chickpea flour yields so much delicious tofu. Thanks for the recipe! I fried some strips up with franks red hot and made buffalo Burmese tofu wraps with a cucumber dill sauce. Pure lunchtime bliss. Rusty, you have just made my day! I was having a bit of an overwhelming day at my “real” job and this positive comment really lifted my spirits and reminded me why I do what I do. I’m so glad you’re enjoying the Burmese Tofu. Your idea of making buffalo Burmese tofu wraps is pure genius! I’ve got to try that ASAP! 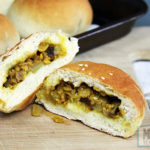 Can I still make this if I have only one cup of chickpea flour? This what I have until I purchase more, will it work. Yes! Just use half of much of all the ingredients. I have done it many times and it works fine. Cheers! 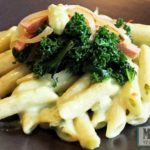 I’ve been looking for a soy alternative for awhile now… thank you so much for posting this recipe… I will try it today. 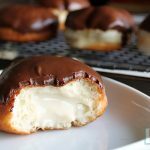 Can I use foil instead of parchment paper? You’re welcome, Melissa. Parchment paper keeps the tofu from sticking to the pan, making clean-up easier. If you don’t have it, you can simply oil the pan. I also think wax paper would do the trick as well. I don’t think aluminum foil would be a good idea though. Have fun experimenting! That’s wonderful to hear, dear Hannah! I am so glad that you are enjoying the channel. Please feel free to let me know if you have any suggestions or requests 🙂 Thank you for your lovely comment. i just read the comment where you were troubleshooting for a batch that was too runny and I’m going to try keeping the heat on but just turned down and also draining off the excess water asap but i am sad that every time i try to fry mine to make crispy dippers they are just super mushy on the inside. any other ides on what to do with this stuff? I am assuming right now that you are working with a fresh batch of Burmese Tofu. For crispy dippers, I usually let the tofu set in the fridge for at a few days to firm up. As they sit in the fridge, more and more water will leech out, creating a firmer tofu. That said, Burmese tofu does have a much softer texture than regular soy tofu so it inside will be soft, much like polenta fries. I hope that clears things up. Best of luck! RE “eggless salad”, I recently ran across info on black salt (kala namak) that contains some sulfur, so is used to add an egg-like flavor to things like that. 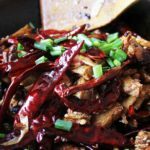 RE texture, I know that “regular” soy-based tofu changes texture — becomes firmer, chewier, and more “meat-like” — when frozen. It might be interesting to experiment and see if this does so, also. 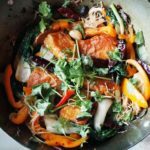 RE water, I’ve seen recipes that use “regular” soy tofu that call for adding gentle pressure (plate on top or something) to remove “excess” water prior to using the tofu in a given recipe. Black salt is fantastic! I use it for tofu scrambles all the time. I’m not sure about changes in texture when freezing Burmese Tofu. Its original texture is very different from the type of tofu used for “million layer tofu” or frozen tofu. But..let me know if you experiment please! Cheers! I dont think it freezes well. When thawed, it becomes this dry weird sponge, its horrible. Some say that’s what regular tofu is like when it’s frozen and thawed and they do it on purpose! Can this tofu be used where other recipes call for the reg soy tofu? Yes and no. 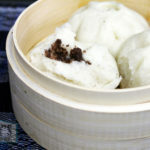 It’s softer and it doesn’t hold it’s shape as well as regular soy tofu so you have to treat it a bit more carefully. And it doesn’t take to marinades like soy tofu does. 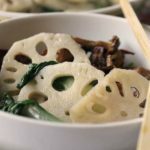 I know that you already have a soy tofu recipe, but is it possible to make soy tofu using this method as well? For instance, using soy flour(or just soybeans made into a paste) and then following through the same way? It may be possible but I haven’t tried it. Hello Mary, what’s the recipe of the batter/coating that you used when you fried the tofu? The tofu pieces look like they’re covered in something. I just tried making this recipe & it ended up being too watery. Is it possible to take the stuff that failed, heat it up, add it into some more boiling water and see if it will harden up a bit more? 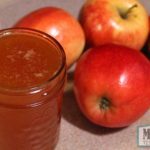 If your batch turned out too watery you don’t want to add more water. Instead, let it rest in the fridge and water will leech out. Drain the water that pools and the tofu will become firmer over time. O boy… it looks so good but I did things wrong. Possibly I am to impatience. Made it yesterday and wanted to eat it today with this recipe https://www.youtube.com/watch?v=sak__45qp6o but unfortunately it became very soft in the pot when I wanted to stir fry the blocks. How long do you have to refrigerate it before you can use it? And, how long can you keep it in the fridge before it is no longer eatable? Burmese Tofu is much softer than the soy-based firm tofu used in that video. It also cannot stand up to a lot of liquidy sauce. Next time, recommend cutting your Burmese Tofu into cubes, bake at 400F until the cubes are a bit browned on the edges, then add it to your stir-fry after you’re done cooking everything else. Fold in gently so the tofu gets covered in sauce but not broken up. You can use the Burmese Tofu as soon as it solidifies. It gets firmer as it sits in the fridge as long as you drain any water that leeches out. Keep it in the fridge for up to a week. I would say no longer than 5 days. I made the Burmese tofu, as my husbands requested, as he remembered eating it in Burma where he grew up. The first time I made a full batch, and it turned out very runny, not thick at all. It was still very soupy in the fridge after two days. Then I read the comment you made for someone else who had the same problem as me. This morning I made half a batch, measured very carefully the water and flour, water rolling boil, very slowly added the flour water mix and stirred 5 minutes with my gas range on low. Still very runny. Do you think it has something to do with my garbanzo flour? Or should I put extra flour in the recipe or else cut back on the water? My husband was disappointed. Adding more flour/ using less water would probably do the trick for you. One drawback of volume measurements is that it’s not very precise. In this case, when measuring the flour you want to do the opposite of how flour is usually measured for things like baking. That is, pack down the flour into your measuring cup. Do not do the spoon-by-spoon method or fluff the flour before scooping. I tried cubing it and adding it to a veggie stir fry but they fell apart, however the flavor was amazing and the stir fry was definitely more filling than just a plain veg one, so I’m very happy! I probably should have read the comments and let it sit a couple days. For anyone who doesn’t have parchment or wax paper I used a silicone pan to let it set and it worked well, I just turned it upside down on the cutting board after chilling for an hour in the fridge and it popped right out. I still have some left over so I’m going to try the crispy dippers, they look amazing. I’ve been searching for the creamy dill recipe. Can you point me in the right direction? 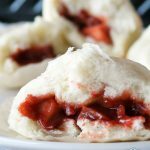 Great post and recipe 🙂 I love how affordable it is. I’m not even vegan I just like to have meatless meals because I’m frugal and organic grass-fed meats are expensive 😛 so, for the record: this recipe is non-vegan approved! Love this! I saved the recipe last week and decided to try it tonight. Ended up making a scramble tonight and loved the flavor. The rest is in the refrigerator to firm up more and looking forward to trying crispy nuggets in a few days. Also put a small amount in the freezer to see how it might (or might not) hold up to freezing. Thanks for the recipe! Hello Mary! Thank you so much for a great recipe! 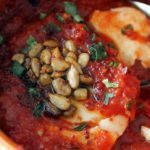 I am from Brazil and tried to make the tofu but it ended up very liquid and it didn’t firm…do you know if it’s possible to use the flour made from the white chickpeas? I tried once again adding more flour but it still didn’t firm. Thank you for you attention and for the great videos and recipes! It is also incredibly similar to something in northwest Italy called “panizza”, altough those are cooked just with salted water, yum! love this burmese tofu, but how do you use it in food, other than frying? 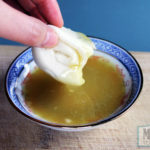 My daughter refuses to eat it cold (I’m not too keen on it cold either), and when cooking it I find it tends to get mushy and starts dissolving. At the moment the only way we are able to eat it is to slice it fairly thin and fry on high heat, then it crisps up nice on the outside. Am thinking if it was flavored with cheesy type flavors (nooch +??) it could be eaten cold as a cheese substitute. Have you tried anything like that? My stove (not me!) likes to burn stuff, the last time I tried this it took a week to soak my burnt pot lol, but I enjoyed the tofu. This time I got the brilliant idea to modify it a bit. Made it pretty much as per your recipe with a bit more besan and the intention of going for something “cheesy” so I added in some nooch, herbs, garlic and onion powder, miso and a dash of mustard and lemon, then added it to the boiling water and let it thicken some before adding it into small oiled molds which I steamed covered in the Instant Pot for 20 minutes to finish firming and setting in the mold. After cooling and unmolding I had awesome healthy, tasty “cheese” without all the fat and calories of the nut based cheeses which are delish…until my scale reminds me I can’t afford the decadence!